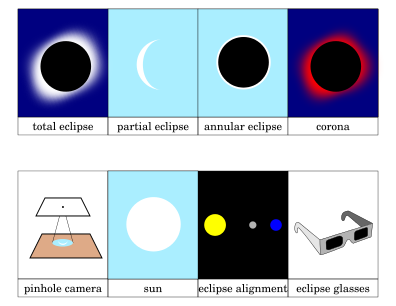 A solar eclipse happens when the moon passes in front of the sun during the day. The deepest parts of the ocean are able to support life thanks to volcanic activity that produce hydrothermal vents. 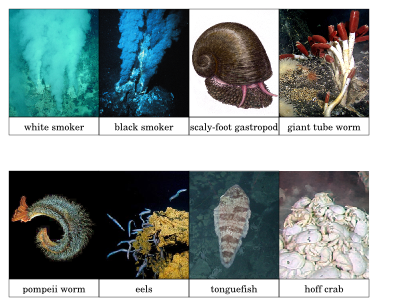 It is a unique area for life. There single cell organisms live by chemosynthesis instead of photosynthesis.